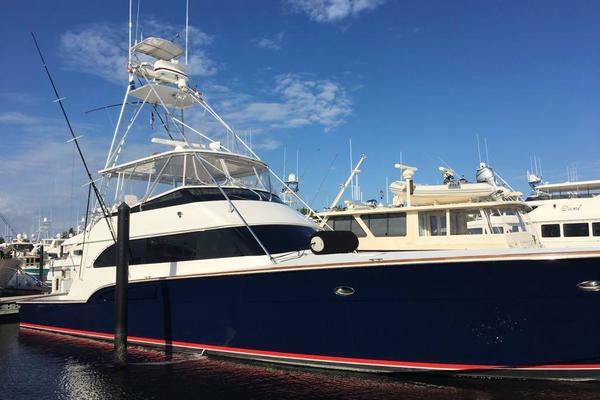 United Yacht Sales New Jersey would love to guide you through a personal showing of this 87' Feadship Yacht Fisherman 1985. 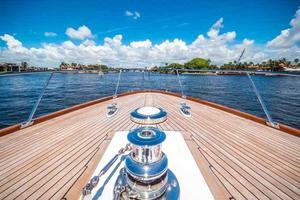 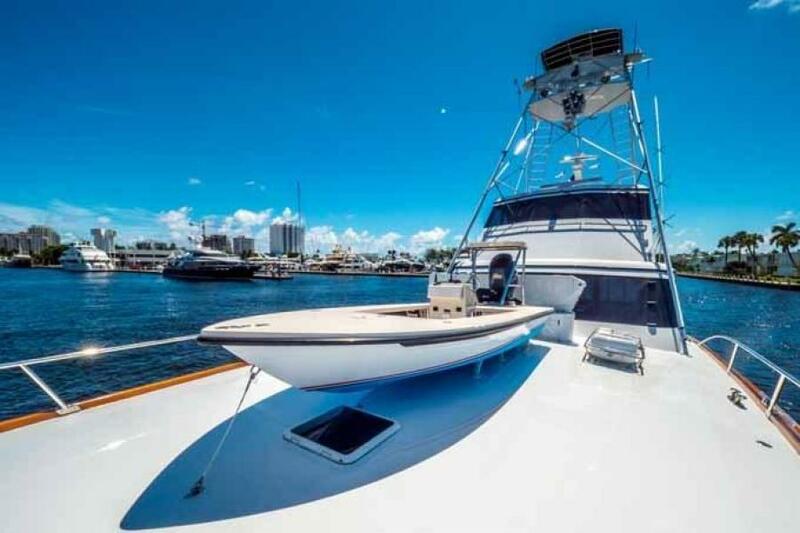 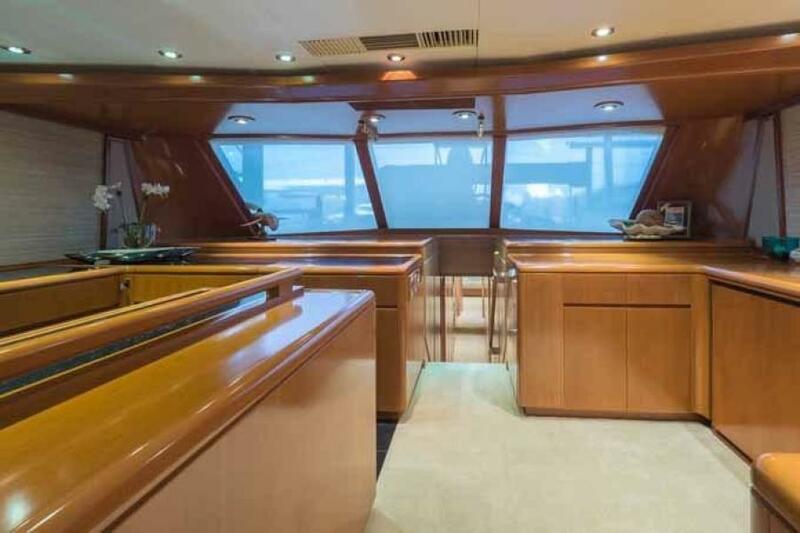 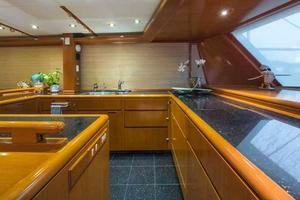 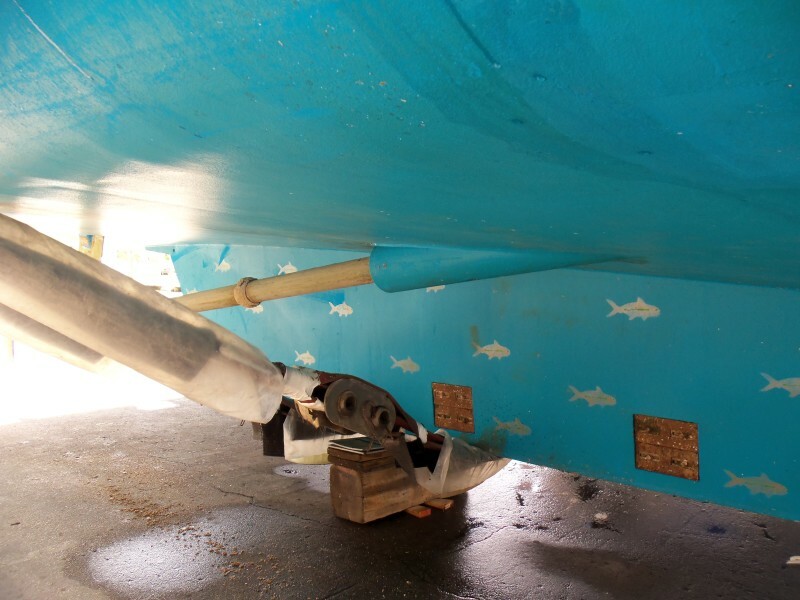 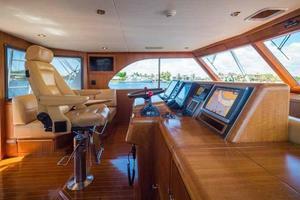 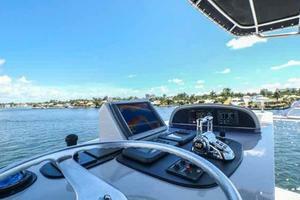 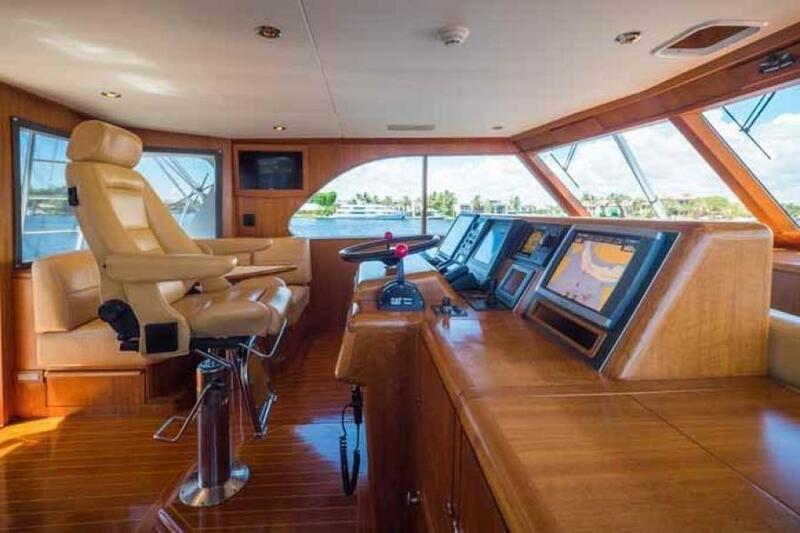 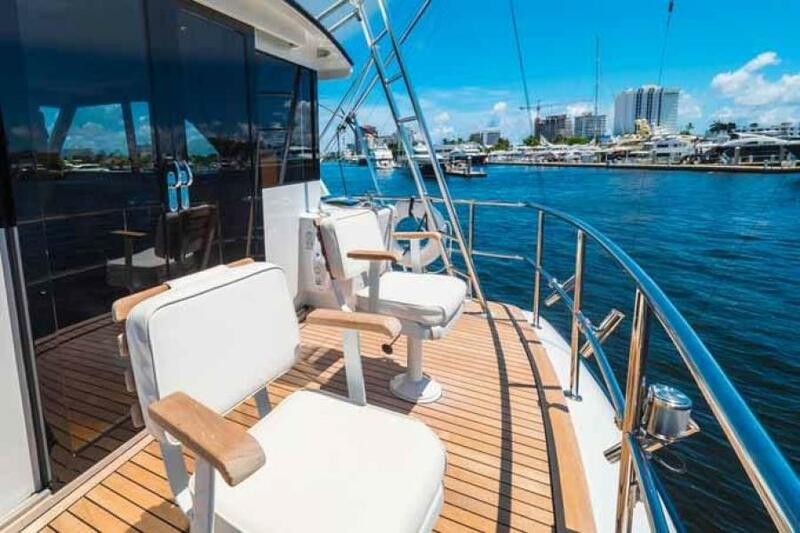 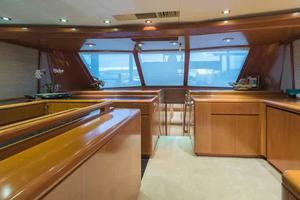 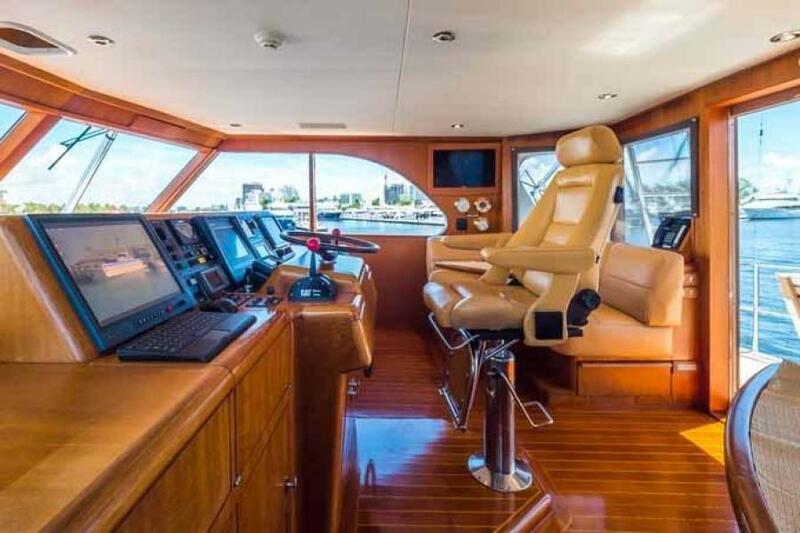 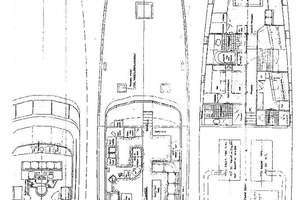 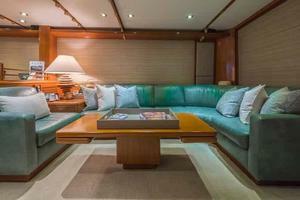 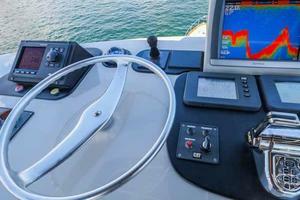 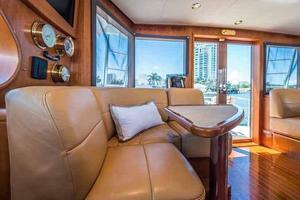 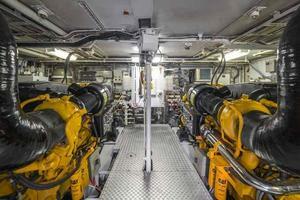 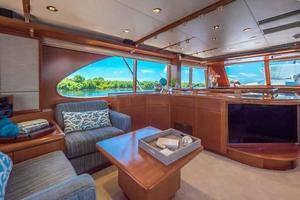 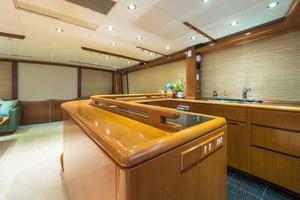 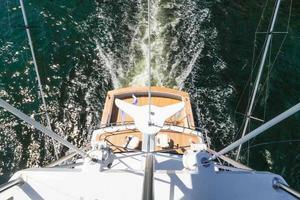 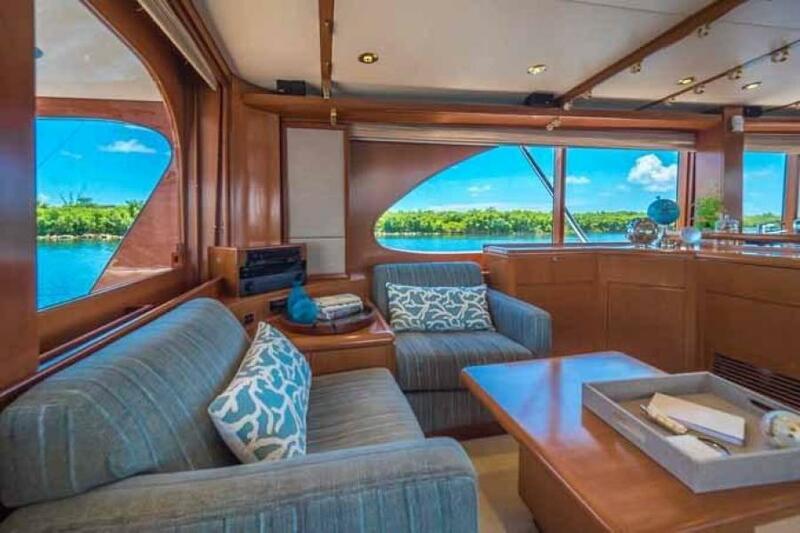 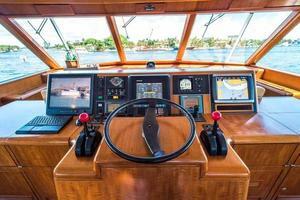 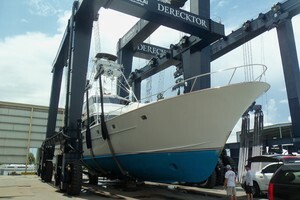 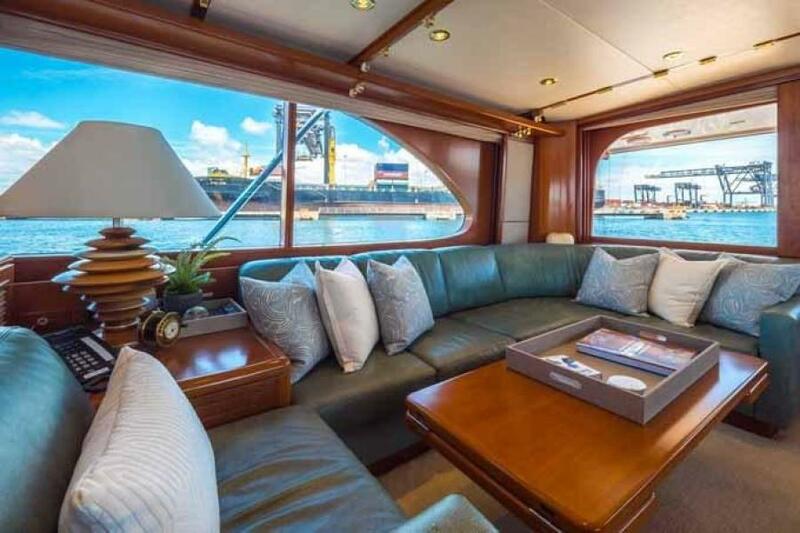 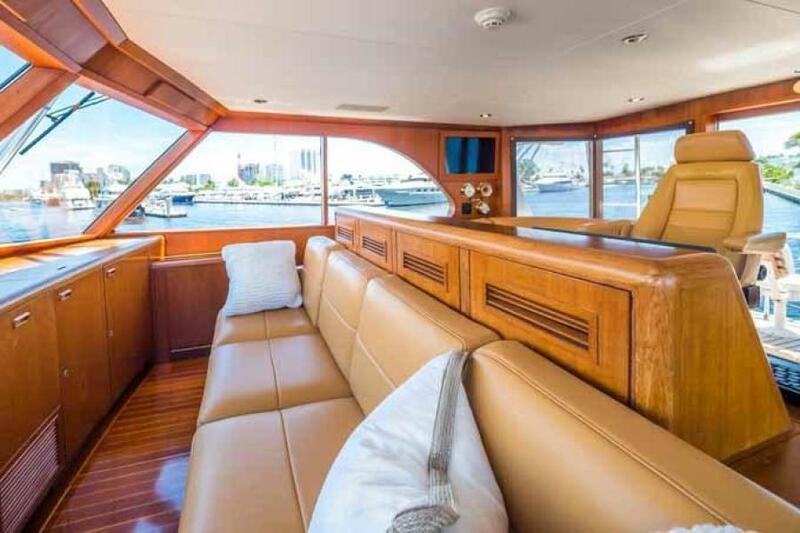 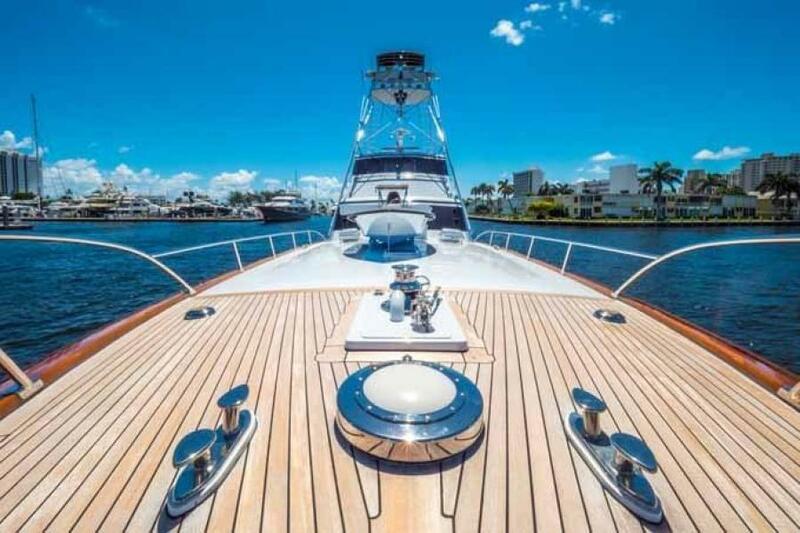 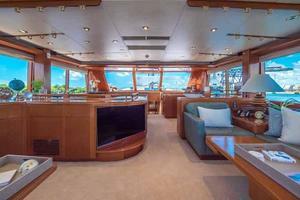 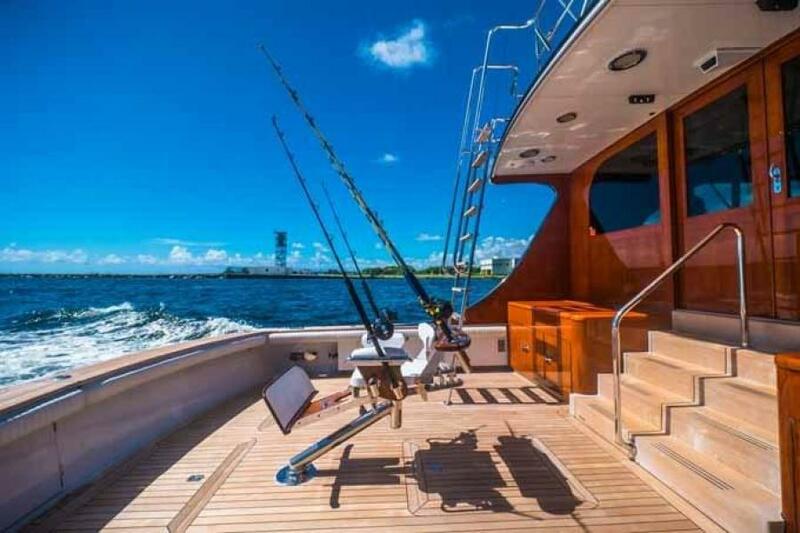 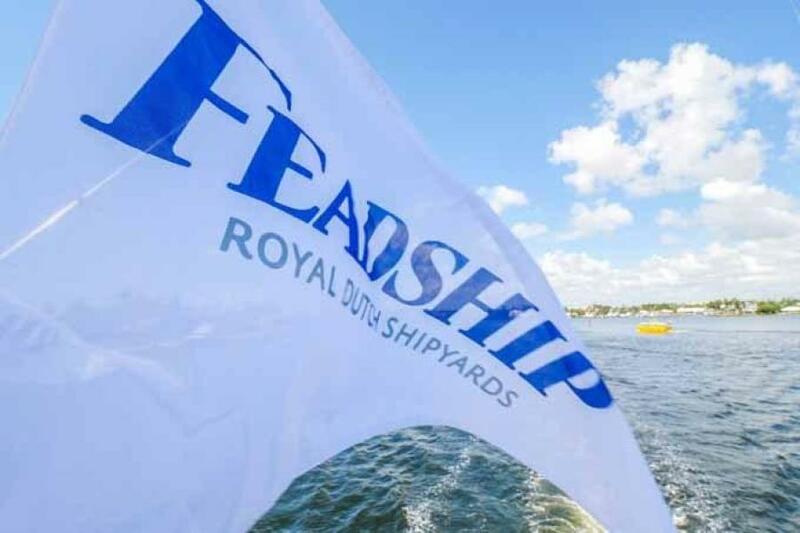 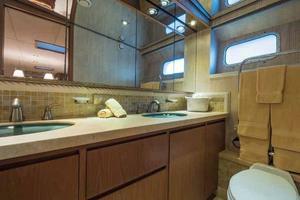 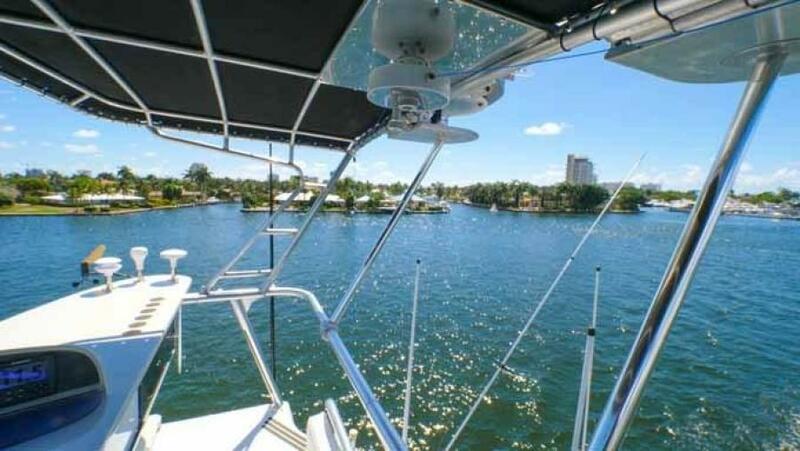 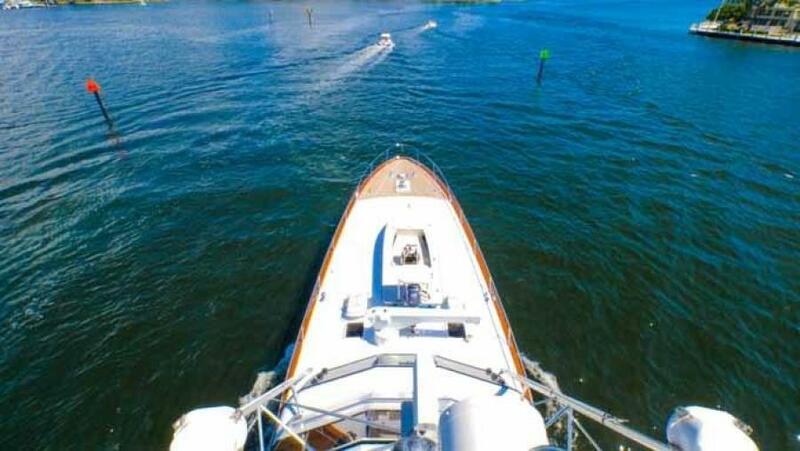 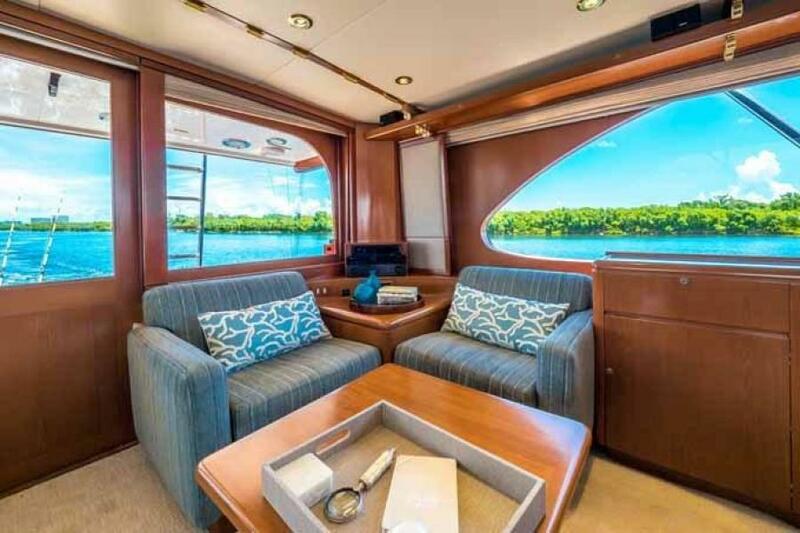 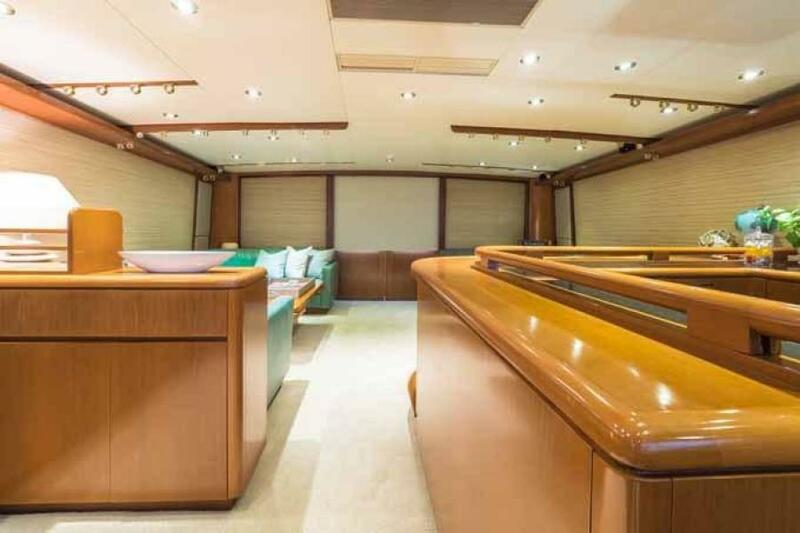 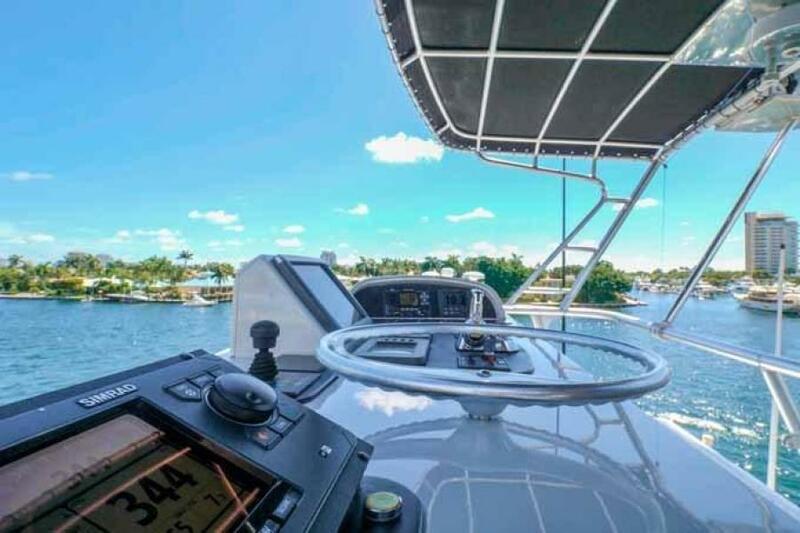 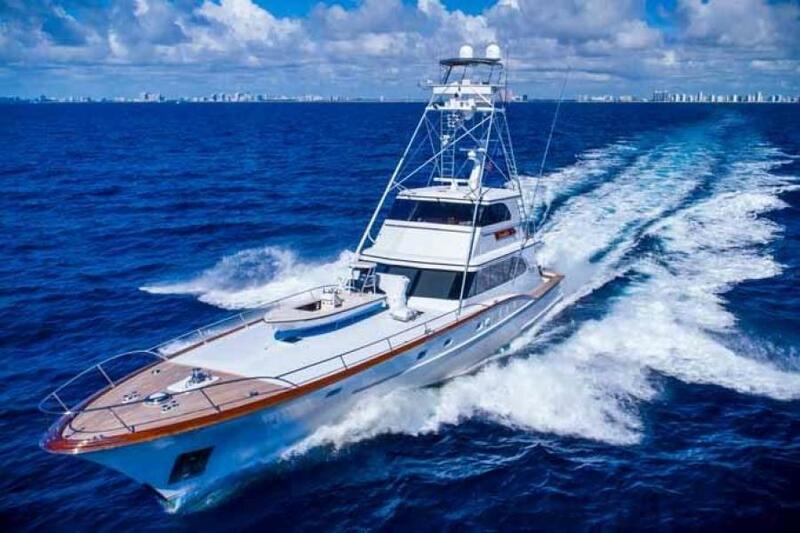 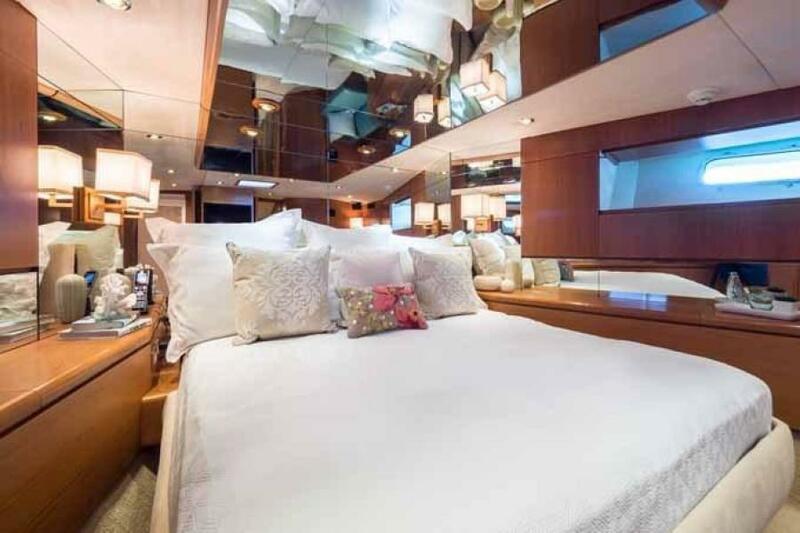 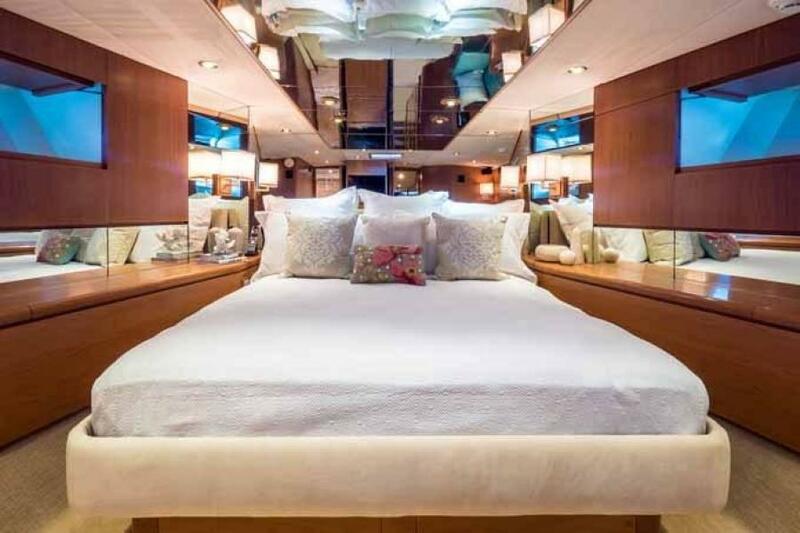 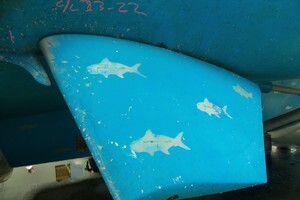 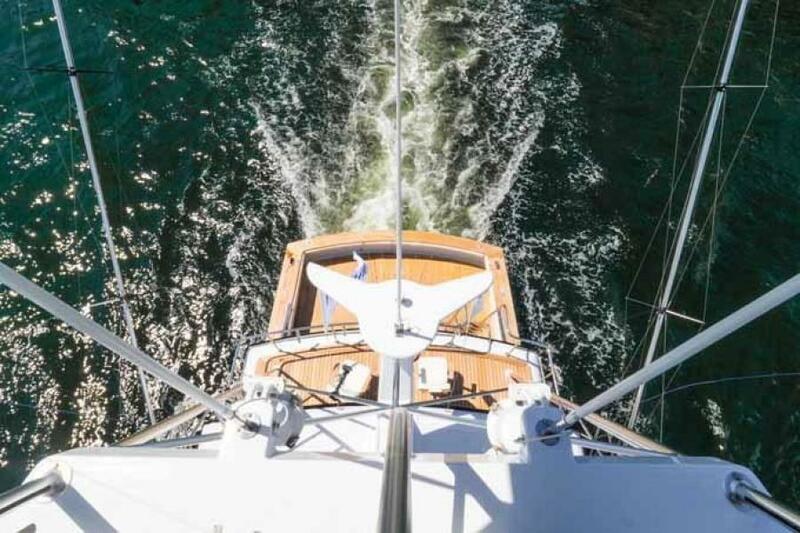 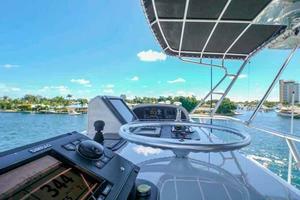 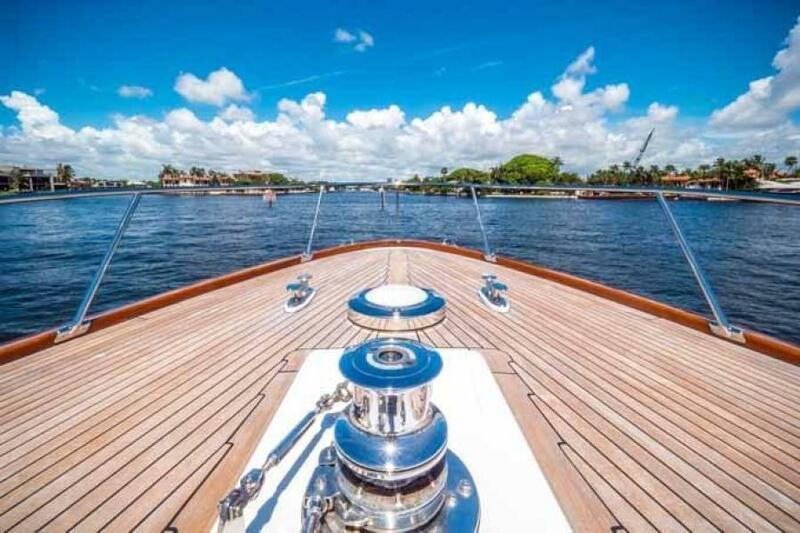 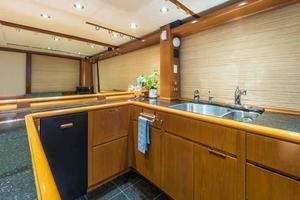 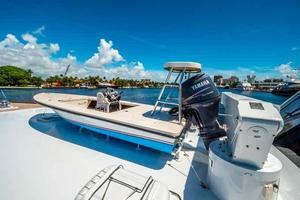 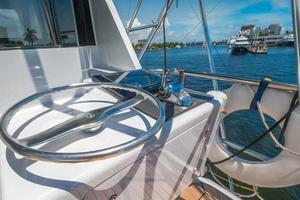 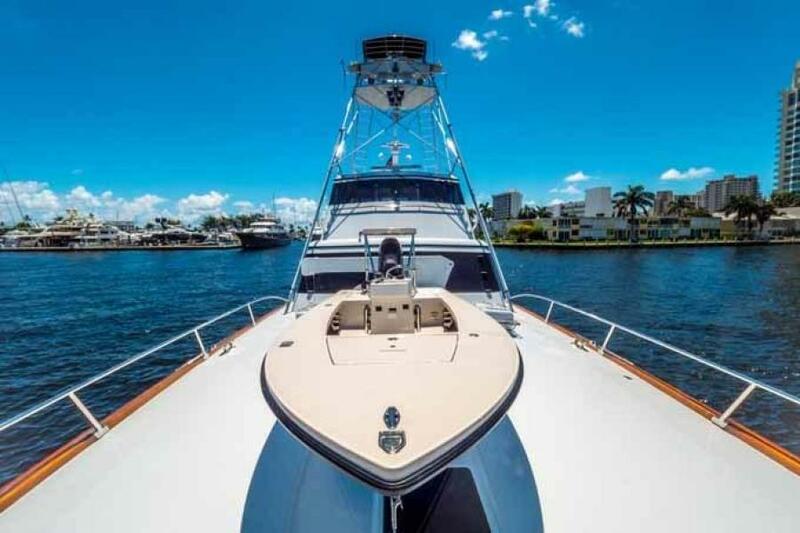 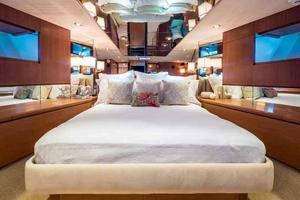 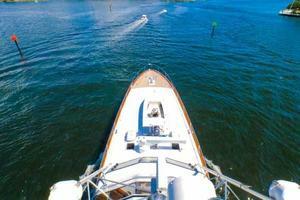 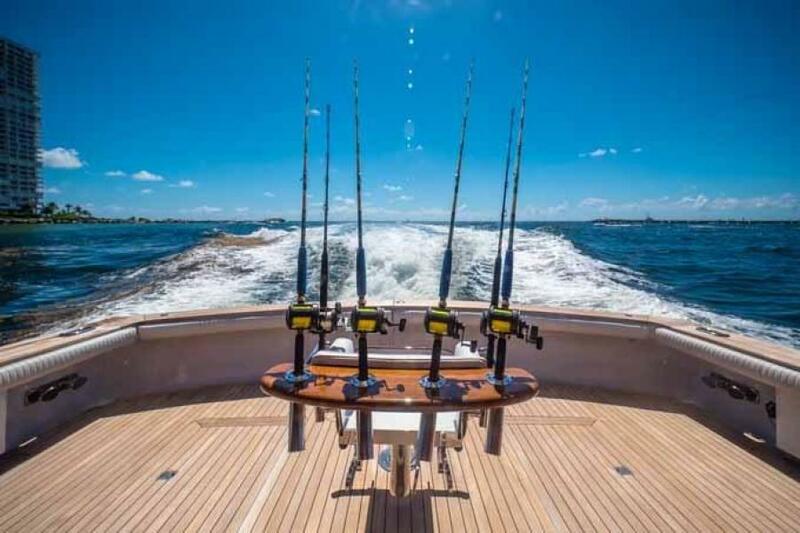 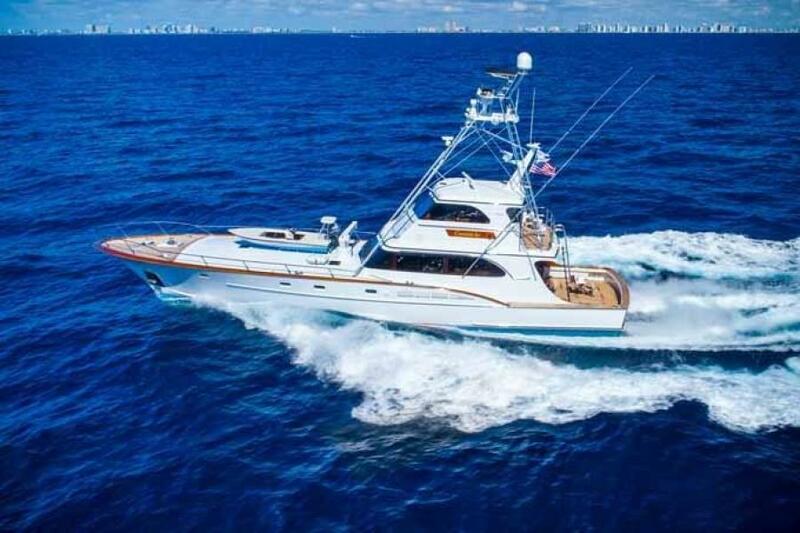 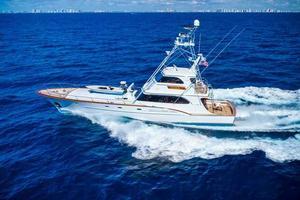 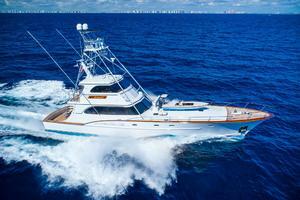 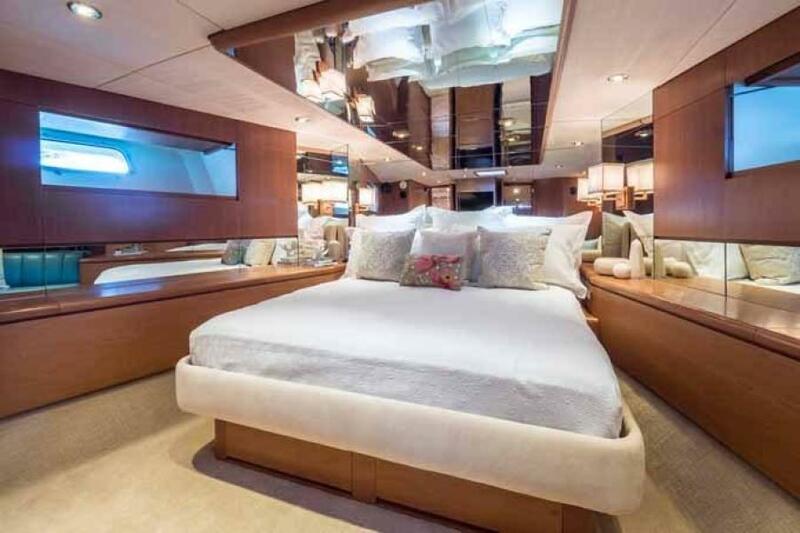 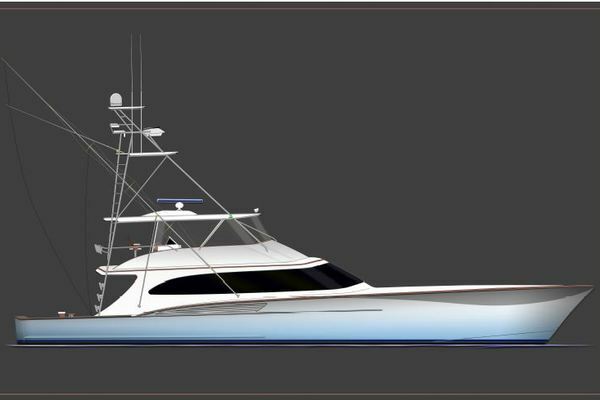 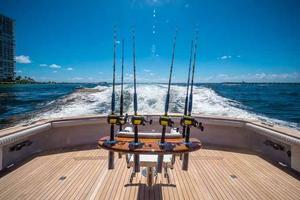 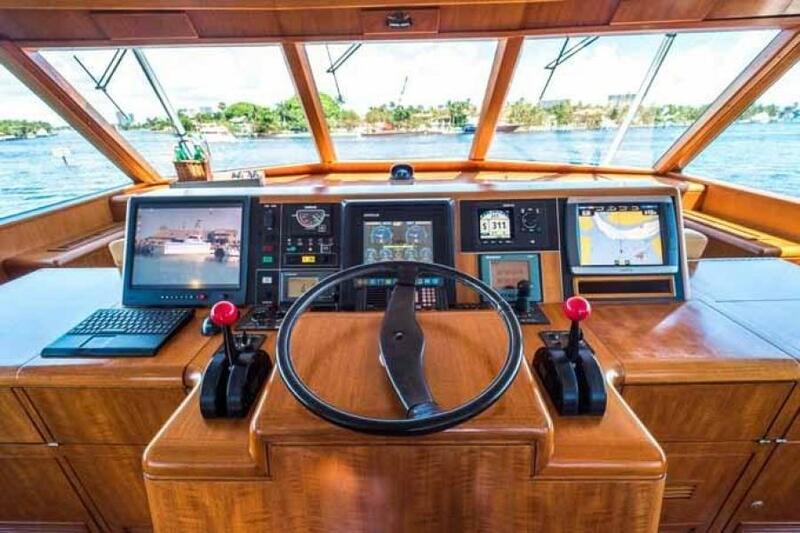 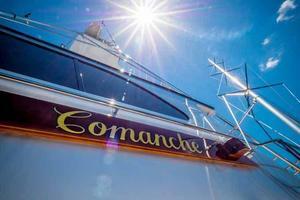 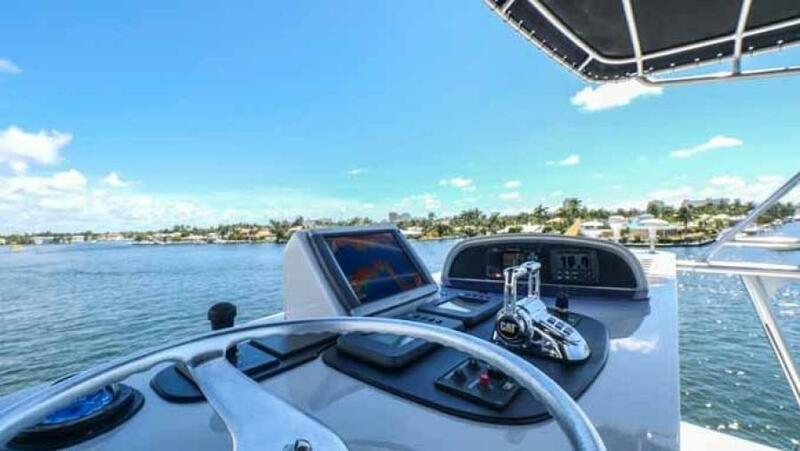 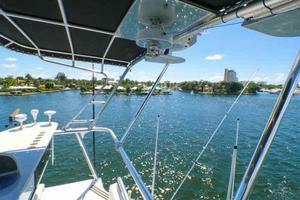 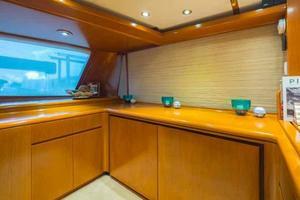 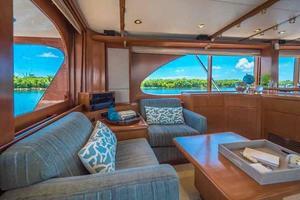 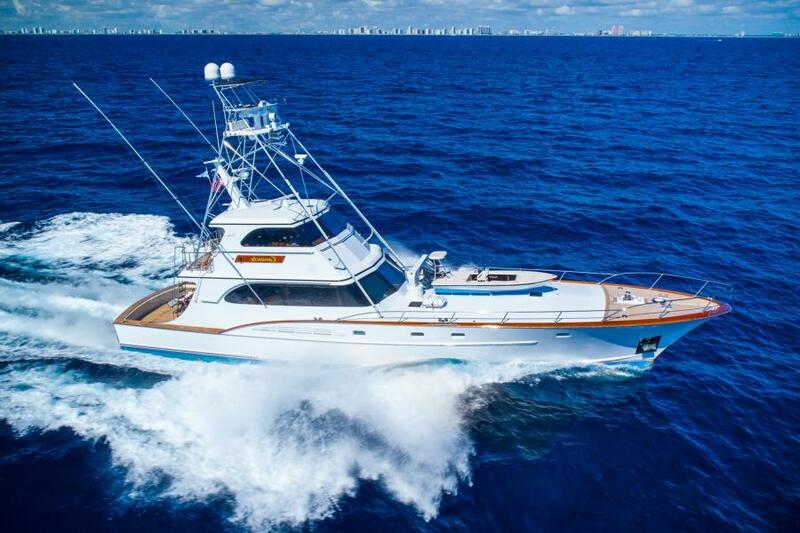 This yacht for sale is located in Dania Beach, Florida and priced at $1,850,000. For a showing please contact us by filling out the form on this page and we will get back to you shortly! 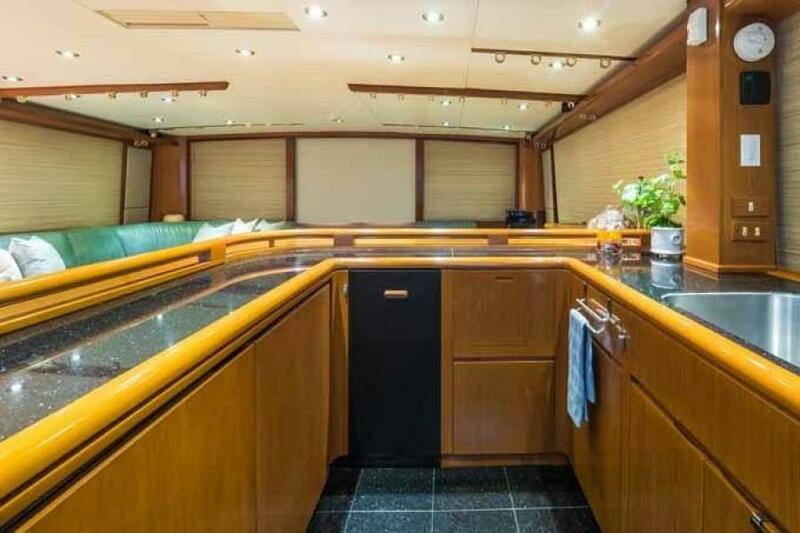 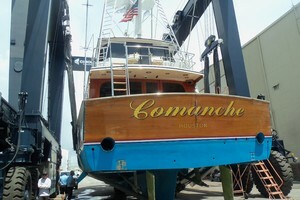 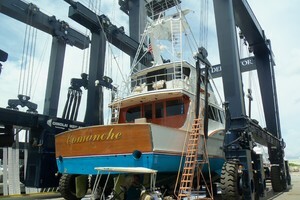 Boarding COMANCHE is over the covering boards from a fixed dock or through the transom door from a floating dock.The Cockpit is immense with a centered offset pedestal fighting chair and double central steps the Salon flanked by all the freezer, bait prep, tackle storage you would want.The counter balanced doors open to a large Salon with seating groups both port and starboard.An updated LED TV faces the starboard side sofa area.The Galley is to port forward and discretely masked by the fine joinery.To starboard is additional concealed freezer space.Centerline steps lead to the four cabins below.All four cabins are en suite:First to port is a twin lower bunk cabin with oversize berths.Opposite to starboard is an over under cabin with two outboard berths.Next forward is the Companionway Laundry Center with an updated Whirlpool washer and separate dryer.Opposite to starboard is the Fourth Cabin used for the crew with upper and lower berths outboard.All the way forward is the Master Cabin with a centerline king berth, small settee and a very large head and shower not usually found on yachts of this size, let alone a Convertible Sportfisherman.The enclosed Pilothouse is accessed via a ten step ladder from the Cockpit.There is an abundance of seating plus there is an observation deck aft with two swivel fish chairs as well as an aft control station for fishing. 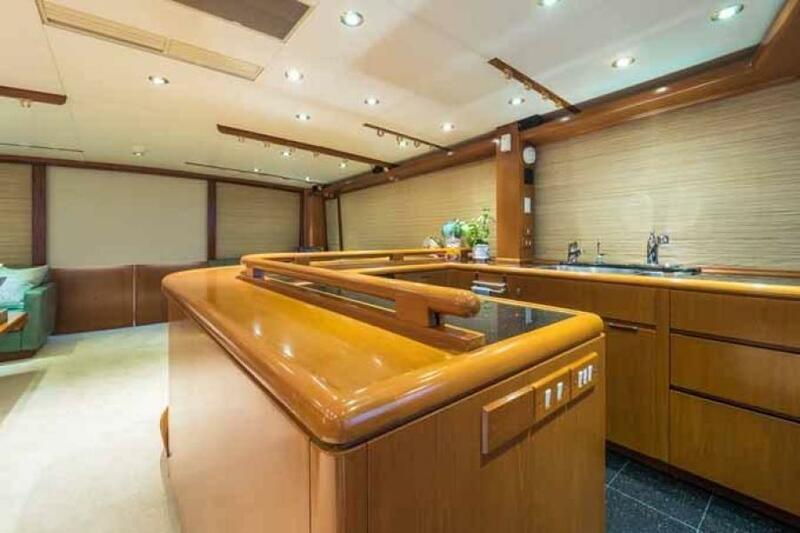 The Salon is entered via a centerline counter balanced door.The first impression is of a huge open one level area that stretches 26 feet forward to the three panel windshield forward.This area includes the Galley which blends into the Salon and is unobtrusive as a Galley can be!Large fixed side windows allow huge amounts of natural light.Electric light filtering Roman shades provide some privacy, full black out shades port and starboard and aft provide full privacy.Immediately to starboard upon entering is a large U shaped leather settee to seat six people.The forward corner has a built in end table with a decorative wood table lamp above.In front of the sofa is a high low cocktail/dining table with two hinged leaves at the ends.To port aft are two oversize built in upholstered chairs separated by a built in end table.Just aft of the table is the Salon’s entertainment electronics to include a Yamaha AV receiver with Blue Tooth connectivity, six channel Surround Sound, a Direct TV HD DVR, receiver, an Audiovox DVD player and two USB charger outlets for phones/iPads.Next forward is a bar area with a lit liquor locker, a Whirlpool Wet-Ice icemaker and glass storage for wine, champagne, hi ball and cocktail glasses.All of these elements are hidden and blended into the cabinetry.Facing the couch is a newer Samsung 46” LED TV that can be hidden behind tambour doors as desired.Overhead in the Salon Galley area is rod storage for up to 25 rods.Also overhead in this area are 14 LED lights, a smoke and fire sensor plus five Bose mini cube speakers.The sole is carpeted with a recent neutral tone plush carpet. To starboard is an extension of the Galley that again flows forward from the Salon.Behind cabinets are two matching stainless steel freezers, similar to the refrigerators to port, four cabinets, two pegged for dish/saucer storage, one fore and aft.Above are two drawers forward and two aft.This area benefits by the same large side cabin windows with electric Roman shades.Above are nine LED lights and the vents for air conditioning delivery. Seven carpeted steps below the Galley area is the Accommodation area with four en suite cabins arranged as follows:twin lower Guest to port, twin upper/lower Guest to starboard, twin upper/lower Crew next forward to starboard and the opulent Master Cabin forward.The Companionway has raised panels of washed oak timber to match the cabin doors.A new Whirlpool Laundry Center to starboard.The sole is carpeted.Overhead are three LED lights and a smoke/fire sensor.Forward just before the Master Cabin entrance is a hinged step to the forward bilge area under the Master Cabin.Built in shelving allows for weeks of ship’s stores and spares.This area is well lit, encompasses the bow thruster tube and hydraulic pump as well as the forward tank tops.Also in this area is a safe.Spend a few minutes in this area and you will start to see how stout this yacht was built, what piping in lieu of rubber hoses looks like and above all the fact that the original quality is still very evident even in areas not usually visited by an owner. 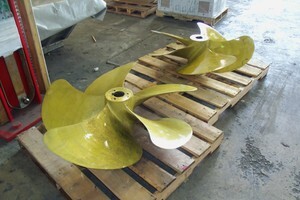 Entered from the aft end, looking forward are twin oversize 34” wide lower berths with a three door nightstand between.The upholstered headboards are set upon three mirrored panels with a sconce style reading light above each berth.The upholstered headboards wrap around the outboard side of each berth.Outboard of the outboard berth are two three shelf cabinets in enclosed book matched timber, flanking a fixed dead light with a removable storm cover and two sliding storage drawers below.At the foot of the outboard berth is an auto lit hanging locker with two drawers below.Each berth also has two large storage drawers below the bed.The aft bulkhead at the foot of the berth is mirrored with a centerline sliding timber door into the en suite Head.Overhead in this cabin are five LED lights, two stereo speakers and a deck hatch )with a wood black out cover) for ventilation.The AC has digital controls and the sole is carpeted. 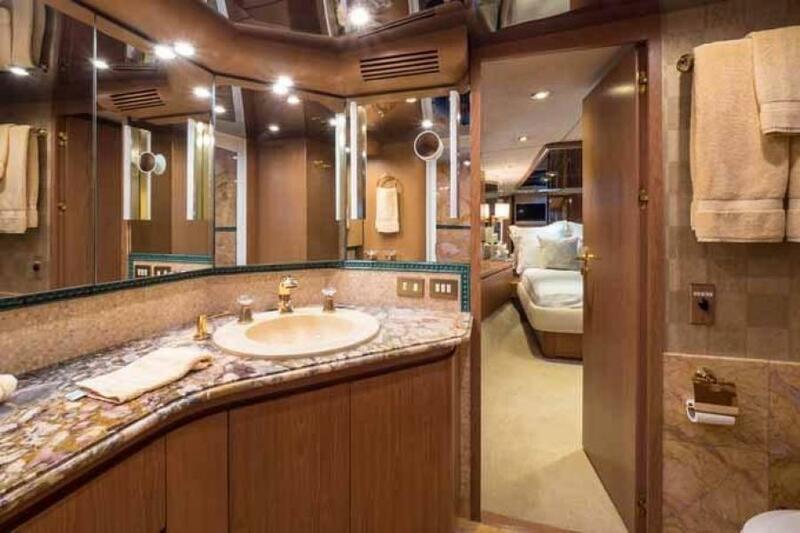 Just aft of the cabin is the private Head.The vanity has two cabinet doors with three drawers between.The granite countertop has two LED backlit sinks and a pearlescent tile backsplash that matches the sole.Four mirrored medicine cabinets above the vanity offer an abundance of storage.The stall shower has a hinged obscure glass door, glass tiles on the walls, sole and overhead, a handheld or wall mounted shower fixture and a light.Also in this cabin is a Head Hunter full size toilet, an AC vent, heated towel bar and a fixed obscure glass dead light with weather cover.Pleated shades cover the dead light.The overhead is mirrored and has six LED lights. 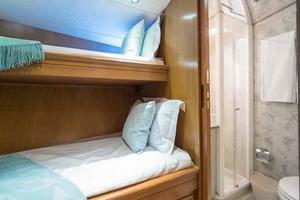 Entered via the forward end there are two bunks outboard.The upper bunk is 31” wide, the lower 35”.Below the lower bunk are two drawers.Above the lower bunk are four sliding storage cabinets.Each berth has a sconce type reading light.Inboard at the head of the berth is an auto lit hanging locker with two drawers below.At the foot of the berth is a matching auto lit hanging locker with two drawers below.Above the berth are three two shelf storage lockers each side of a fixed dead light with a removable weather cover and pleated shades.Inboard is a chest with a pullout writing shelf, matching slim drawer plus four additional drawers, two of which lock.Above is a mirrored panel and two additional lockable cabinets.Aft is the sliding door to the en suite Head.Above are four LED lights as well as a ventilation hatch with a wood blackout cover. 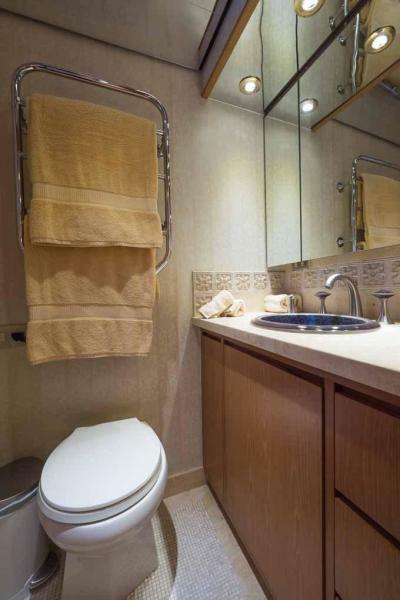 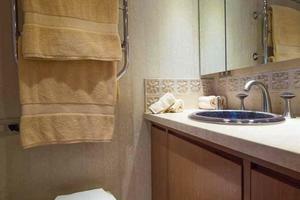 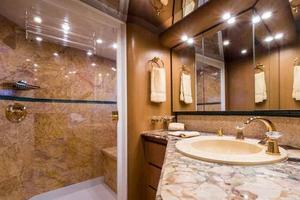 The en suite Starboard Side Guest Cabin Head has a timber vanity with a cabinet, hamper and three drawers below.The marble countertop above has a decorator Kohler sink and faucets with a stone backsplash surround.Above are three mirrored medicine cabinet doors.The shower has a hinged obscured glass door, 12” marble tiles to match the countertop, an obscured glass dead light with a removable storm cover, a handheld or wall mountable fixture, a light and an exhaust fan.Also in the Head is a Head Hunter toilet, mini mosaic tile sole, mirrored overhead, AC vent and four LED overhead lights. 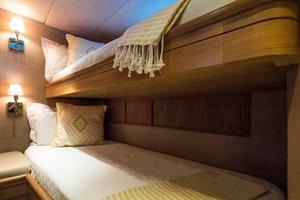 Next forward is the Crew Cabin with twin upper lower berths along the outboard hull side.Each berth has a reading light.Just inboard is an auto lit cedar lined hanging locker with three drawers below.Below the lower berth is a single drawer.Above the upper berth is a fixed dead light with a removable weather cover.Above are two Led lights.Also in this cabin is a digital AC control, smoke/fire alarm and a carpeted sole.Access to the en suite Head is aft. 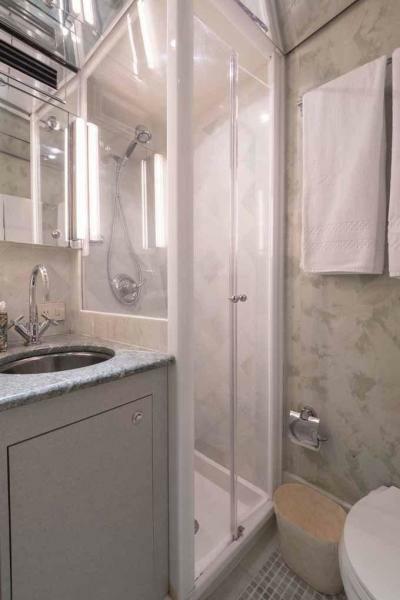 One step down the Head has a mosaic tile sole.The vanity has one cabinet below and a granite countertop above with an under mount glazed sink above.Above is a medicine cabinet with two tube lights either side.The marble tiled shower has a split Lucite door, a handheld or wall mountable shower fixture and a light.The toilet is a Head Hunter model.Also in the Head is a mirrored overhead, three LED lights, an AC vent and an exhaust fan. 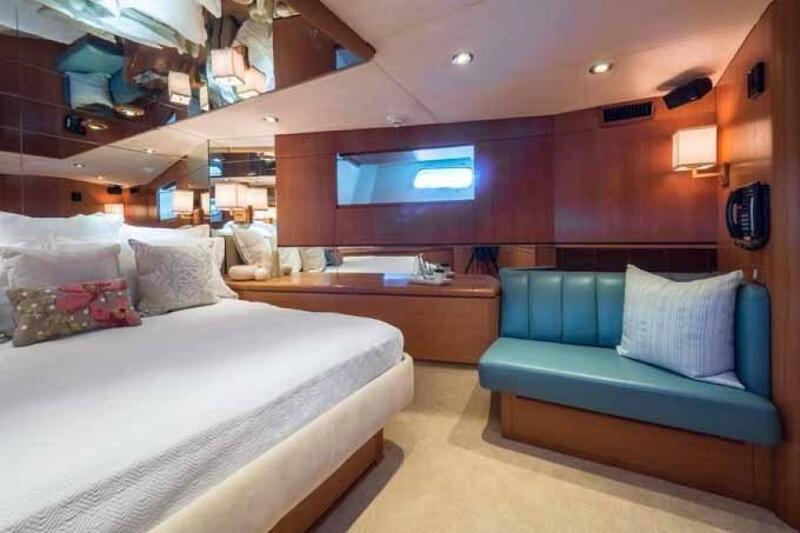 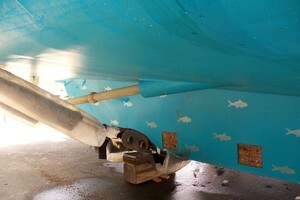 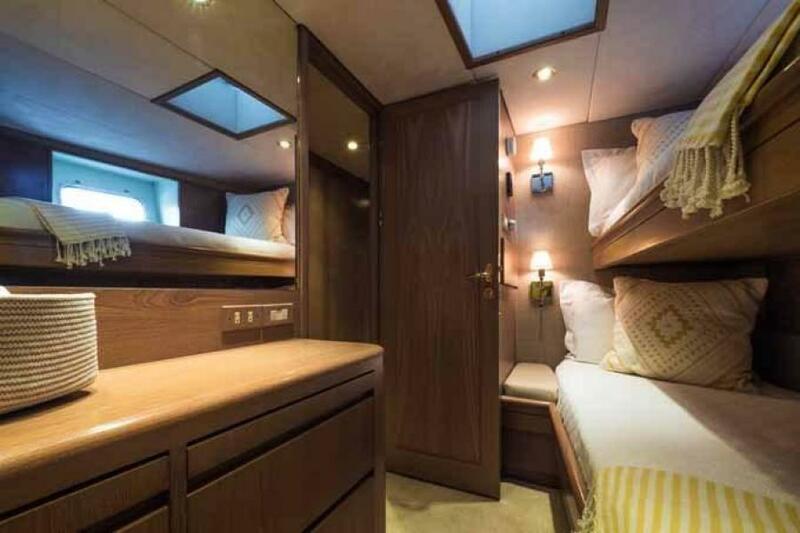 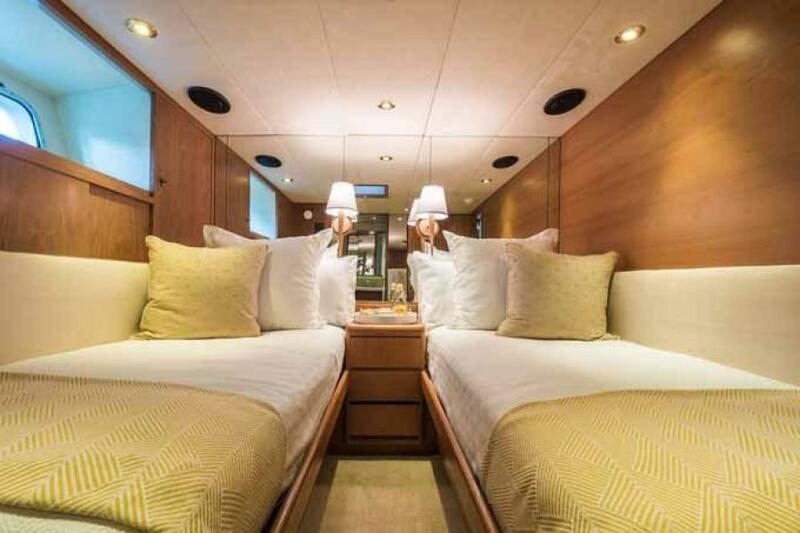 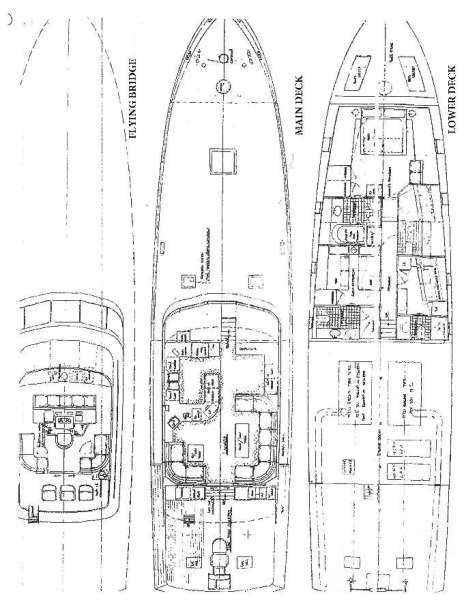 The Master Cabin is all the way forward but well isolated from the “bow noise” due to the expansive Bosuns locker forward and storeroom below.All the way forward is a king size berth on centerline.An upholstered headboard is set upon four large mirrored panels.Twin sconce type reading lights flank the berth.Above is a large mirrored soffit with two additional LED reading lights.At the foot of the berth are two large drawers.Built in cabinetry both port and starboard serve as nightstands.Three top loading storage cabinets are on each side.Next above a mirrored panel are three cabinet doors surrounding the fixed dead light with removable storm shade.Rather than curtains or drapes a timber panel slides down to make the dead light completely disappear into the surrounding cabinetry.Next aft to starboard is a two person settee with an accent light.The storage to port matches that to starboard except instead of the settee, there is a full length hanging locker with an auto light followed by a half height hanging locker with two drawers below.At the foot of the Cabin is a cabinet with a Samsung 28” LED TV, a Yamaha, bookshelf style AM/FM/CD stereo behind a tambour door and a small refrigerator below.Next outboard is the entrance to the Master Head.Above is a ventilation hatch with a timber blackout panel, ten overhead Led lights and Bose stereo speakers.Also in the Cabin is carpeted sole, two digital AC controls and a smoke/fire sensor. 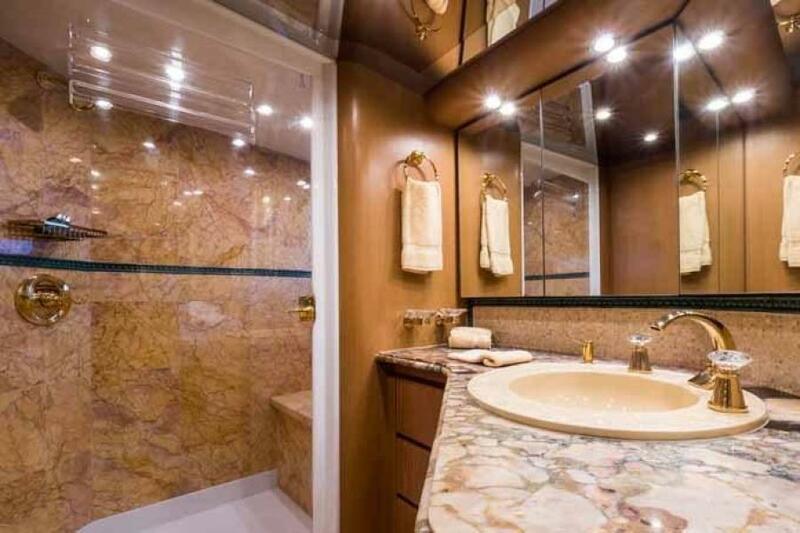 The vanity in the Master has two cabinet doors below, three drawers and a hamper.The exotic stone countertop and designer sink are very special.Three opening mirrored medicine cabinets offer lots of storage.A vanity light is forward.The sole is mini mosaic tile with a marble border and wains coating behind the Head Hunter toilet.Slightly aft is a half height cedar lined hanging locker and three drawers below.The shower has a clear tempered glass door and is huge!There is a large seat, 12” marble tiles and a wall mounted gold plated Graff shower fixture.The sole is nonskid.Also in the head is an AC vent, mirrored overhead, a heated towel bar and seven LED overhead lights. 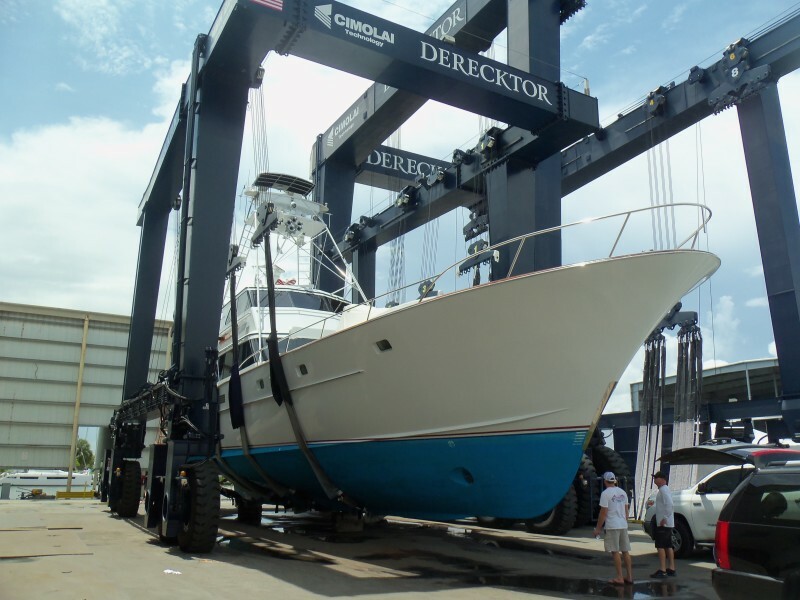 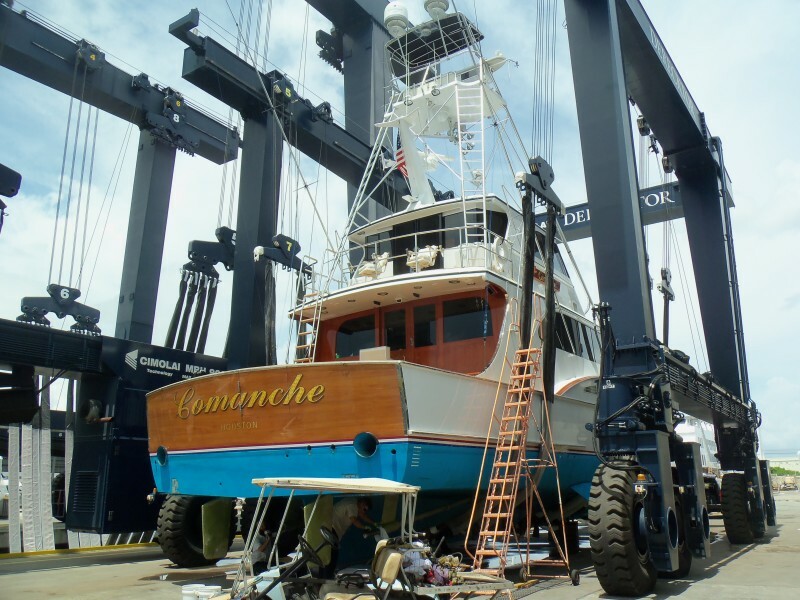 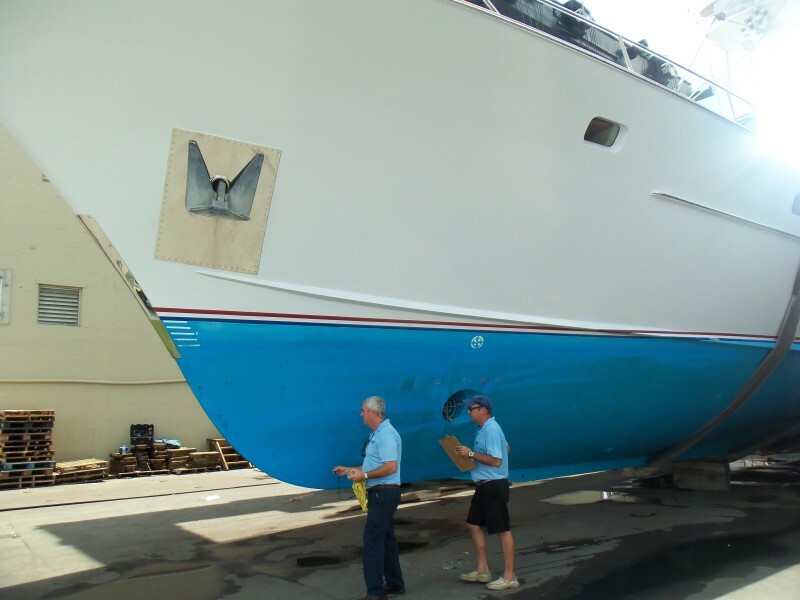 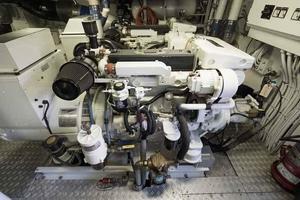 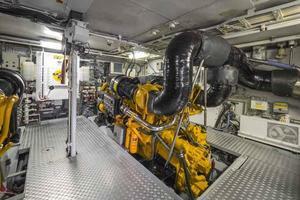 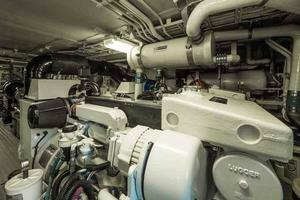 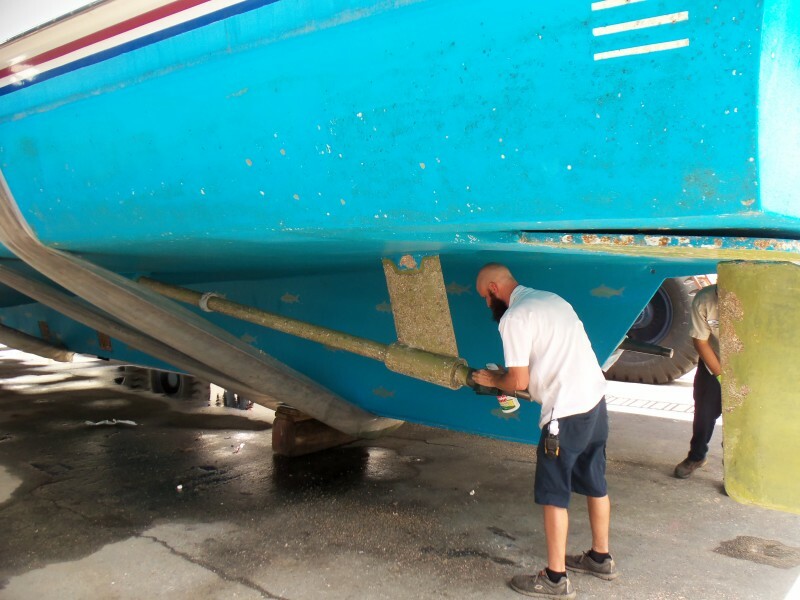 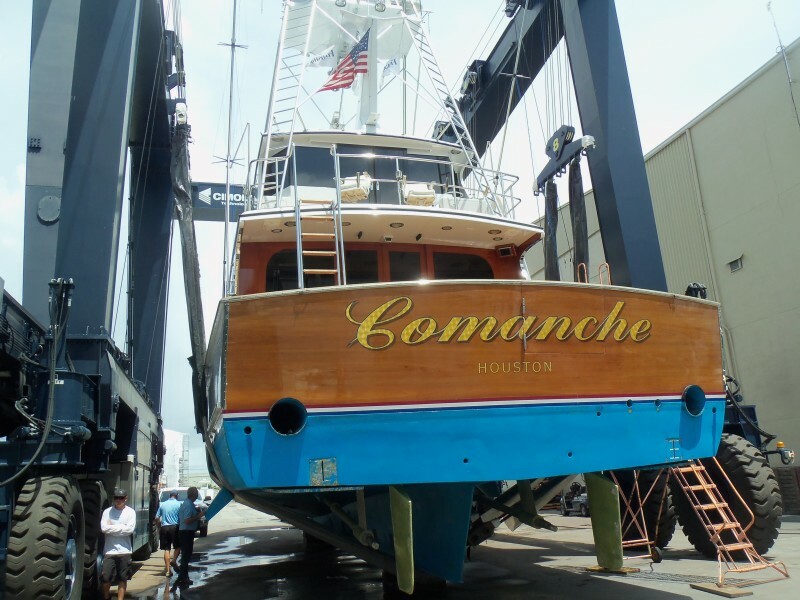 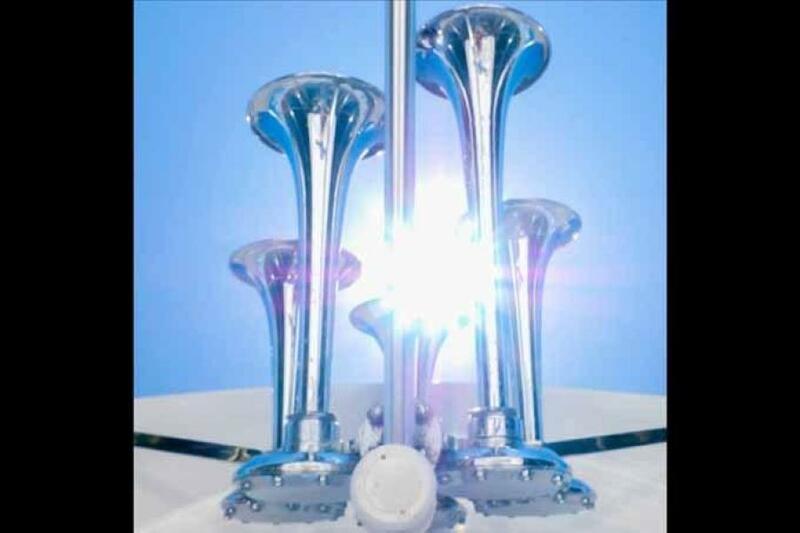 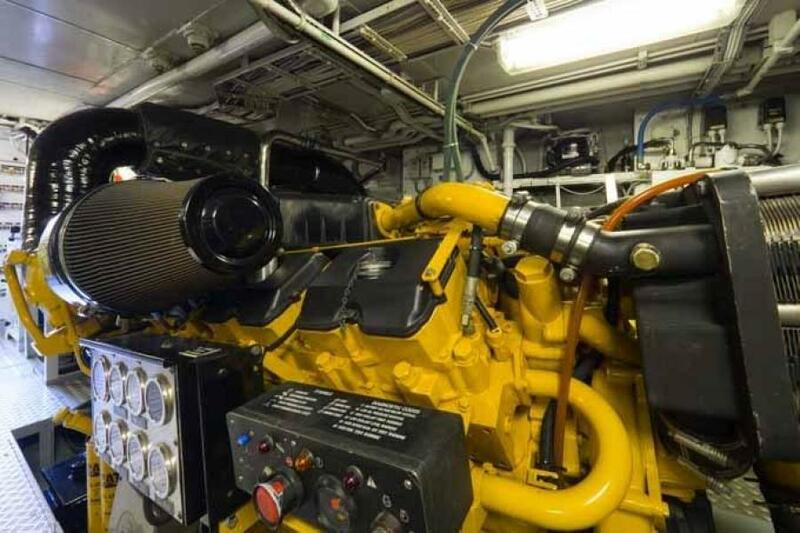 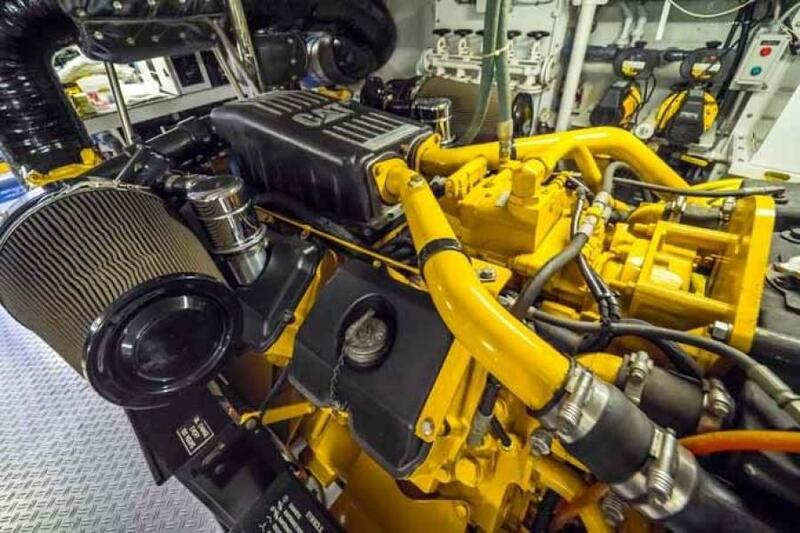 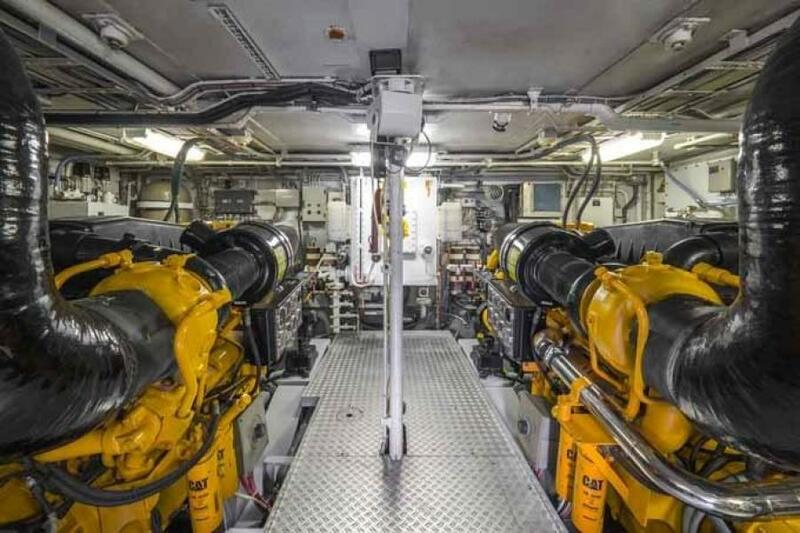 During 2005 COMANCHE received a complete Engine Room redesign and refit.Work included new engines, transmissions, generator, exhaust systems, pumps, HVAC systems and much more!At that time many of the boat’s electronic systems (AV and navigation) were updated as well. 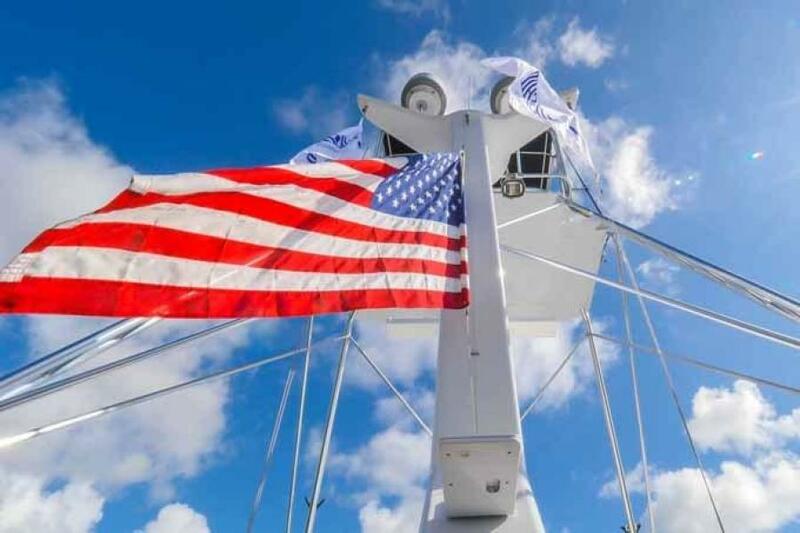 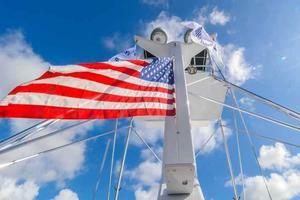 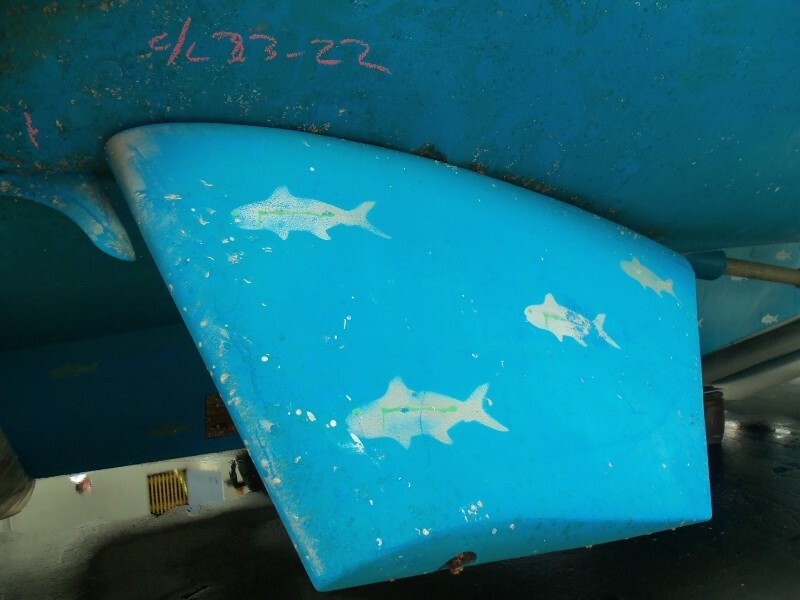 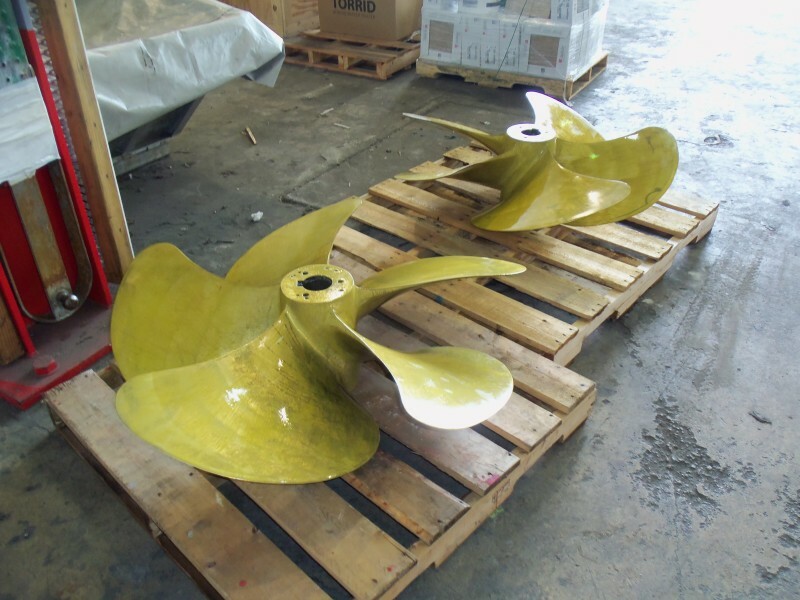 While every effort was made to list all pertinent included equipment aboard COMANCHE, there are some personal belongings aboard.Prospective purchasers should assume any item not specifically mentioned herein will not convey at closing.